What is the Birthstone for January? Giving a piece of jewelry containing a birthstone gem will bring the wearer with good luck and protection. Monthly birthstones symbolize the month of birth according to the Gregorian Calendar. What is the Birth stone for January? The following old poem provides the answer! 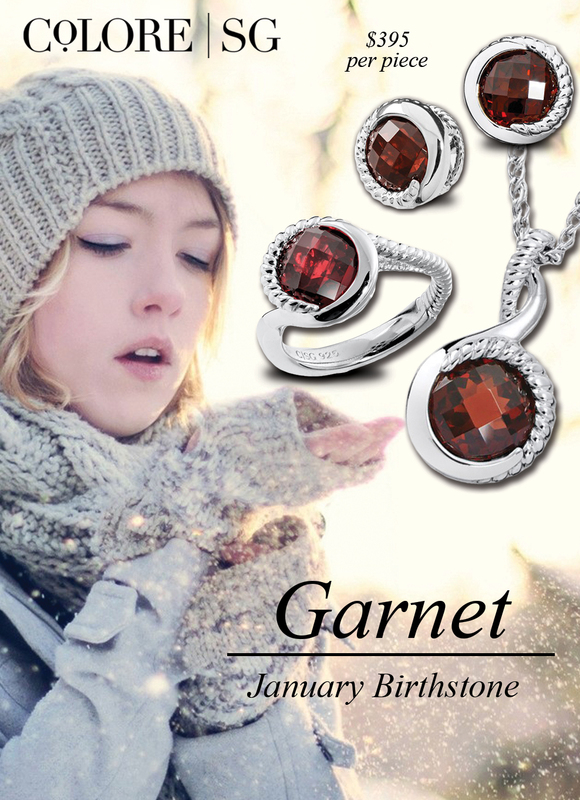 For those who were born in the month of January the garnet is the traditional birthstone. The January birthstone poem reflects some of the properties with which the garnet is associated – purity, truth, faithfulness and friendship. The Traditional Metaphysical Properties for the January Birthstone Garnet are awareness, commitment, regeneration, insight and removing negativity. The healing properties of the January birthstone are reputed to be effective for health problems relating to the blood, heart, lungs and infection.